The picture across the rest of Europe looks just as abundant, with at least half a dozen conferences in every major city from Berlin to Barcelona. At the same time, smaller towns like Malmö, Faenza and Freiburg have become surprise hubs, hosting events like The Conference, Kerning, and SmashingConf. Today’s conferences have moved away from the simple dissemination of information to become experiences in their own right. Often the people and location have become more important than the talks themselves. As such, the choices seem endless and picking the right conference can be a challenge — but it hasn’t always been that way. Way back in 2005, I returned from the US having had a career-defining experience. I had traveled to Austin, Texas with a group of British designers for (what was then) a little known event called SXSW Interactive, where we met our design heroes, shared our stories on stage to a room full of peers, and forged relationships that have lasted until today. The conference scene in the UK started in 2005 and 2006. When we returned home we looked for similar events in the UK — somewhere for the digital community to gather, share stories and push the field of web design forward — and found none. So in the do-it-yourself spirit of the web, we organised our own. First came @media and Clearleft’s own dConstruct conference, followed in 2006 by The Future of Web Design and Flash on the Beach. Over time, other great conferences started to appear, like Build in 2009 and New Adventures in 2011. By the end of 2012 it felt like we’d hit peak conference, but the number of events kept growing. It soon became clear that conferences weren’t a route to fame and fortune — with many events struggling to sell tickets due to increased competition. New events would pop up for a year or two, then disappear just as quickly. Over time, other great conferences started to appear, like Build in 2009 and New Adventures in 2011. As a result, ticket prices started to creep up. While most of the early conferences cost under £100, it became increasingly common to see one-day events priced between £400 and £600. With rates like this you might imagine speakers were being well looked after, but conferences often paid everybody except their speakers, on the assumption that it would be a honor to speak at their event. This resulted in a lot of presentations becoming hastily knocked together product pitches, and the quality began to suffer. Over the years, we’ve tried to keep our own line-ups fairly eclectic, with an ever-changing mix of interesting people. Along with a handful of celebrity designers we’ve had digital artists, musicians, hardware hackers, comedians, science fiction authors and people from a range of other disciplines. This is probably a reflection of our own personal interests, as we look for inspiration outside our immediate circles. Of course, we’re not alone — many wonderful conferences like Lift, Thinking Digital and The Conference have taken this approach. It can be a big risk when conference attendance is still driven by market forces and name recognition. Several conferences started to push back by focusing on the experience rather than the line-up and refusing to announce speakers in advance. Conferences like Brooklyn Beta and XOXO were a great example of this, where the people and location were just as important as the content itself. You never really knew what you were going to get — you just knew it would be good. Conferences like Brooklyn Beta and XOXO show that people and location can be just as important as the content itself. We’ve also committed to paying our speakers, and encouraging others to do the same. We believe this is the best way to maintain quality and attract new talent to the stage — making it easy for them to justify the time and effort that goes into crafting a great talk. It’s now more common for conferences to pay their speakers, but there are still a few notable exceptions. So if you are invited to speak, make sure to ask for an honorarium — or at least ensure that all your accommodation and travelling costs are covered. However, it’s not just down to speakers, so attendees may also want to ask conferences what their policy of paying speakers is. It’s also worth considering where the conference stands on the topic of diversity. Do they have an all male line-up, or have they worked hard to select a diverse range of voices? Does the event feel too much like a clique, or is everybody made to feel welcome? If issues do arise, how are they dealt with? Thankfully, it feels like the industry is moving away from the worst excesses of brogrammer culture, but you only have to peruse Twitter to see that there’s still much more work to be done. Where Are Conferences Going Next? I think conferences will get both bigger and smaller at the same time. Events like SXSW will continue to grow, despite nobody wanting to admit to going anymore; while the Web Summit in Dublin and Collision in New Orleans are expanding at a phenomenal pace. 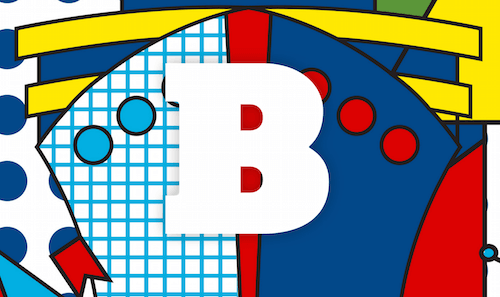 Even our own Brighton Digital Festival has swelled to 47,000 visitors. As well as tackling diversity issues and fostering new talent, the conference industry is slowly becoming more professional. Simply booking a venue and inviting interesting speakers is no longer enough. Instead, we’re seeing increasingly sophisticated marketing campaigns, slick branding, video idents, light shows and special guest appearances — all to make events stand out from the crowd. 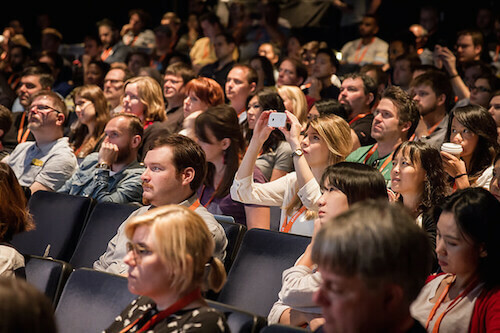 While it’s great to see conferences up their game, some events have become more style than substance; local conferences like Webstock and Beyond Tellerand feel like they have more heart than the big international brands. Conferences will get both bigger and smaller at the same time. Smaller and more personal events like Alptitude are emerging. As a result, smaller and more personal events are emerging. A good example of this is The Do Lectures. I attended this year and saw around 80 attendees and 30 speakers descend on a field in Wales for a weekend of talks, camping and chats around the fire. 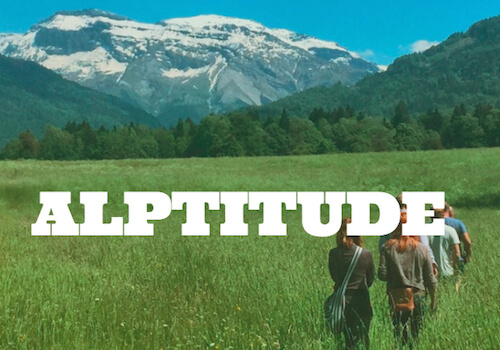 In fact, these events may start to feel large when compared with things like Alptitude or Planned Outage which take groups of a dozen people away to walk in the Alps or canoe in the Swedish Lakes, in the hope that they’ll forge deep-founded relationships for life. Appreciating that people learn in different ways, these events try to get people away from their screens and break down the barriers between speaker and attendee. Instead of being fed knowledge, these experiential weekends focus on informal knowledge sharing and learning by doing. 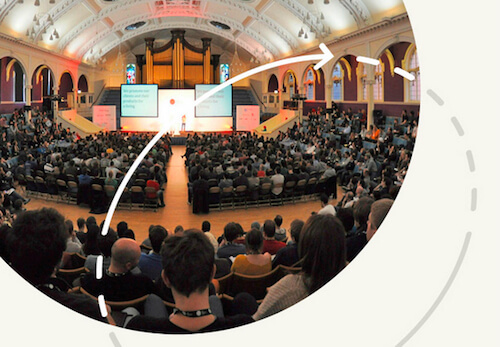 As for the mid-sized gatherings, I suspect that well-known events like Future Insights, An Event Apart and SmashingConf will continue to attract solid crowds, thanks to the brand recognition they have and the quality they deliver. Sadly, a lot of the smaller, more localized events will struggle in the face of increased competition and may not survive. To last longer than a few years, conferences need to constantly reinvent themselves to remain relevant. Both Flash on the Beach and Flash In The Can did this by distancing themselves from the Flash community to become Reasons to be Creative and FITC (Future. Innovation. Technology. Creativity). Of course it doesn’t always need to be this radical. When UX London started feeling a little predictable, we shook things up by moving venues, changing the format and refreshing the brand. To keep Ampersand fresh we moved it to New York one year, and had the next year off. 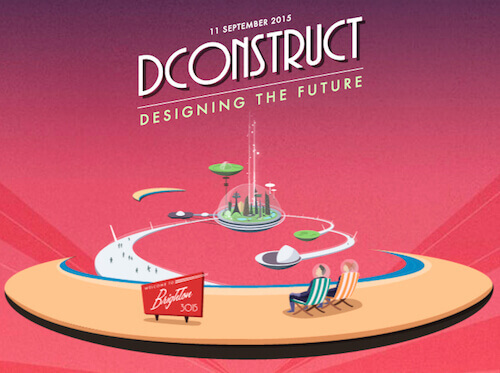 As for dConstruct, once this year’s 10th anniversary celebrations are over, we’ve decided to have a bit of a rest, take stock and consider what the next 10 years will look like. Conferences help cultivate wisdom by creating new connections – between individuals and concepts. Image credit: Marc Thiele. In the meantime, the list of events I want to attend continues to swell, from old classics like Web Visions, PopTech and GEL, through to newer events like GIANT conference and The Future of Storytelling. Despite claims to the contrary, I believe industry conferences are becoming increasingly interesting, varied and (yes) valuable. Maybe not by learning specific skills or techniques, as conferences have never really been about acquiring knowledge. Instead, conferences help cultivate wisdom by creating new connections – between individuals, of course, but also between concepts. Whether I come away from a conference with a potential business opportunity, a new collaborator, or a better way of framing a problem, there is always some value to be had. I urge you to explore beyond your existing comfort zone, discover new communities, forge new connections and help push the field of digital design forward.